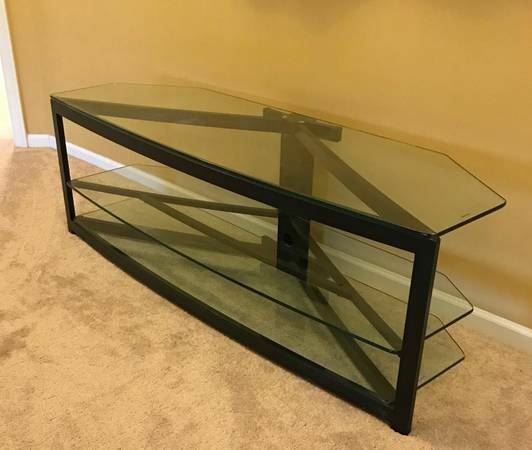 1) Sturdy glass entertainment center with black metal lining. Excellent condition. Can be used as a TV stand. 3 shelves. No scratching or markings. $300 or best offer.